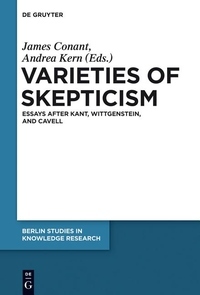 This volume brings out the varieties of forms of philosophical skepticism that have continued to preoccupy philosophers for the past of couple of centuries, as well as the specific varieties of philosophical response that these have engendered -- above all, in the work of those who have sought to take their cue from Kant, Wittgenstein, or Cavell -- and to illuminate how these philosophical approaches are related to and bear upon one another. The philosophers brought together in this volume are united by the thought that a proper appreciation of the depth of the skeptical challenge must reveal it to be deeply disquieting, in the sense that skepticism threatens not just some set of theoretical commitments, but also-and fundamentally-our very sense of self, world, and other. Second, that skepticism is the proper starting point for any serious attempt to make sense of what philosophy is, and to gauge the prospects of philosophical progress.